The Oak Park - River Forest Chamber of Commerce coordinates this after-work networking party held from 5-7 pm on the 2nd Tuesday of every month. These hours are your chance to connect with other members in a more casual setting. 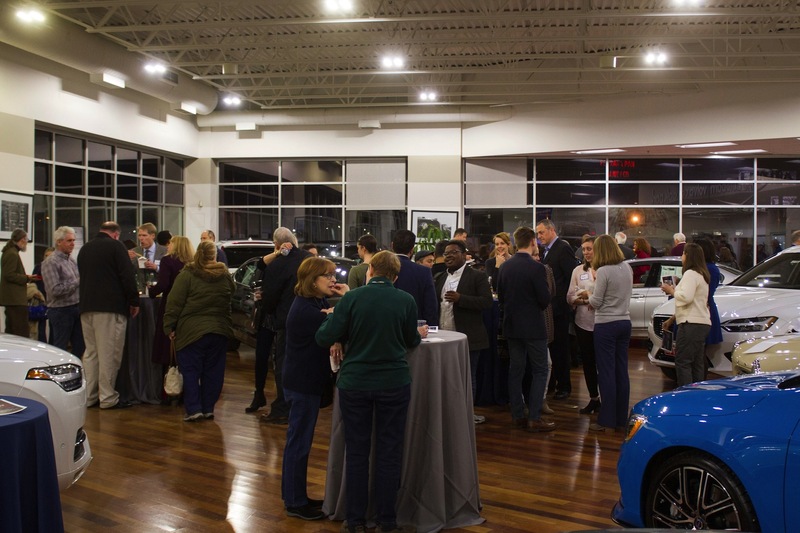 Our Business After Hours events typically attract 50+ attendees and most of the evening is unstructured networking, with a brief time of announcements, raffle giveaways, and introduction of new members of the OPRF Chamber. Each Business After Hours (BAH) event is hosted at a member business. Come enjoy complimentary adult beverages and light refreshments, but bring cash for our 50/50 Raffle that benefits the OPRF Chamber Scholarship Fund. All BAHs are free to members or those interested in becoming a member, but registration is strongly encouraged. Visit our Event Calendar to RSVP. Click here for more information on how to host a BAH. Contact us at info@oprfchamber.org to learn about other sponsorship opportunities. Get to know us better in 2019!